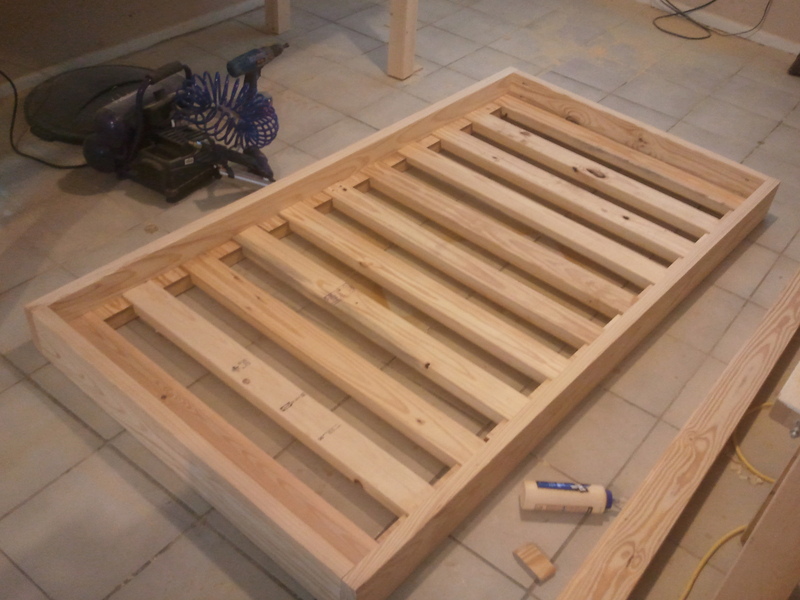 Construction grade lumber (LOTS of sanding). 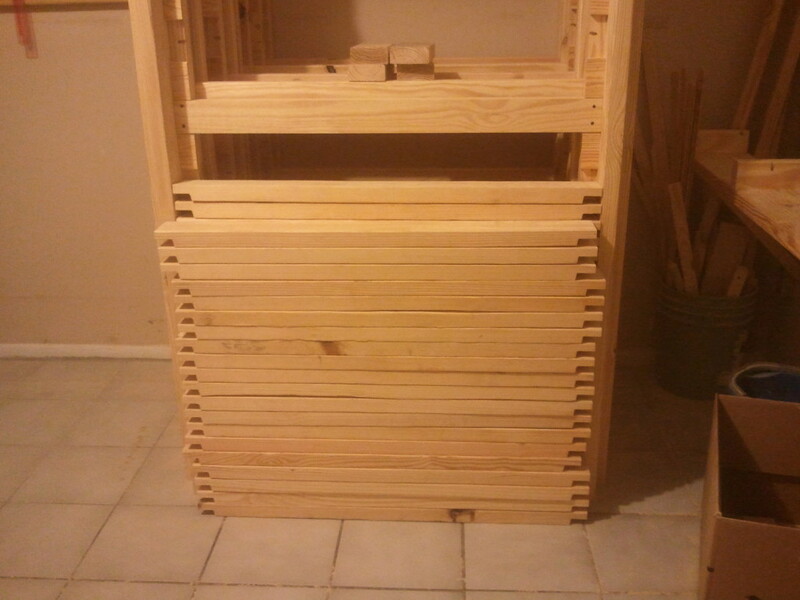 Standard twin size frames. 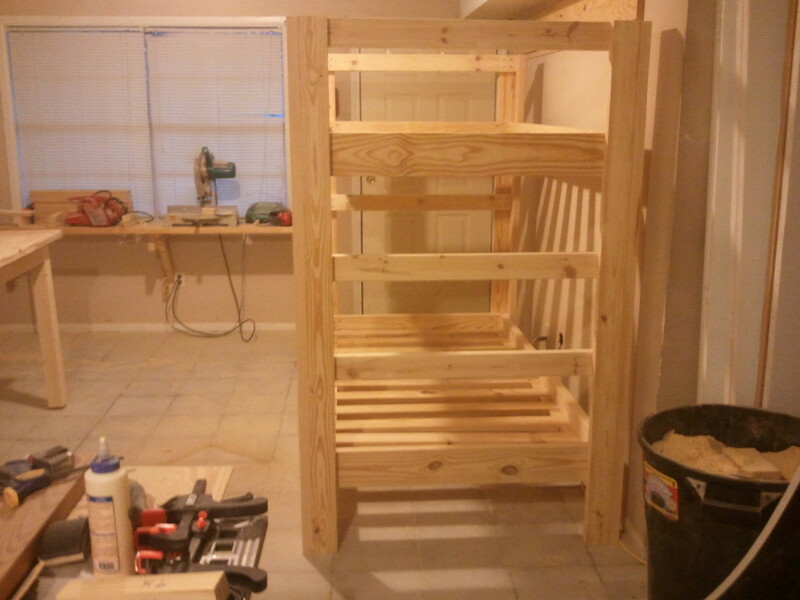 Both ends double as ladders. All slats are 2x material with a relief cut on the bottom to only take up 3/4” on the rail. Solid as a rock. 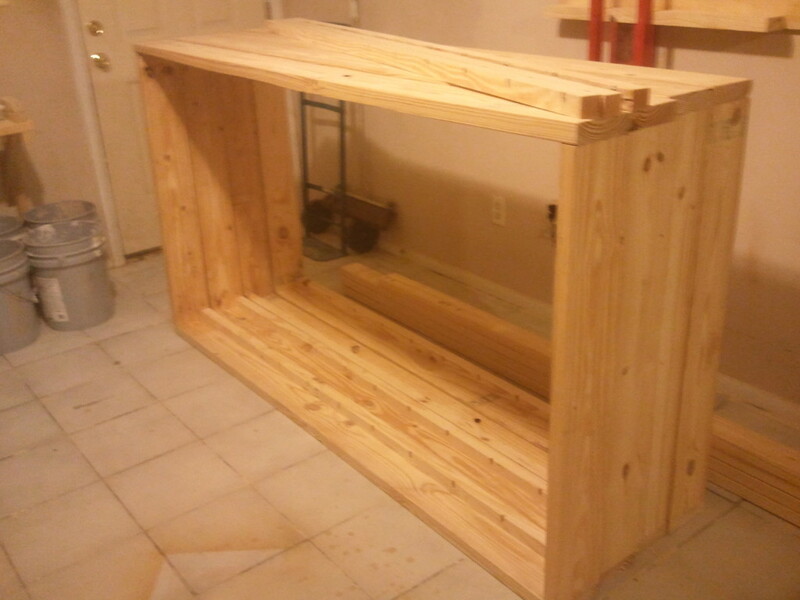 No finish. 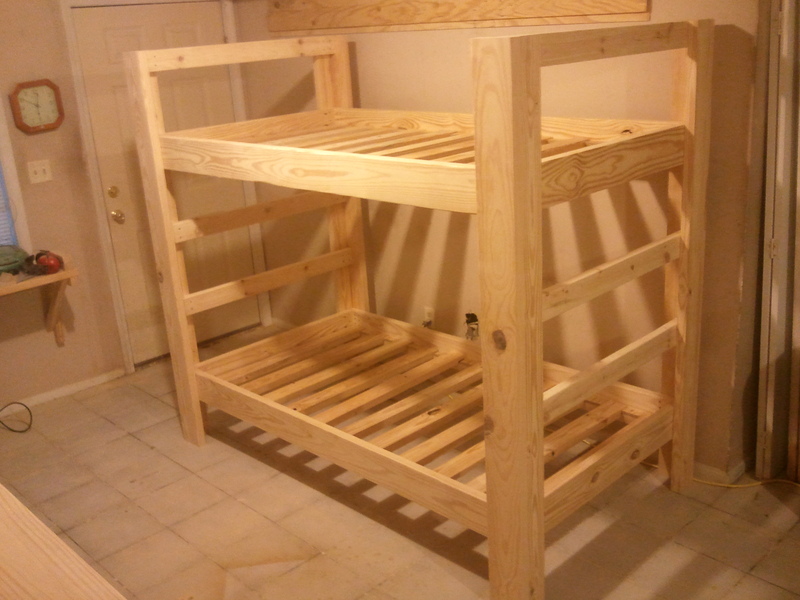 EDIT: I recently completed a detailed set of plans for this bunk bed. They are available HERE. Hi Jay. Loving your videos! 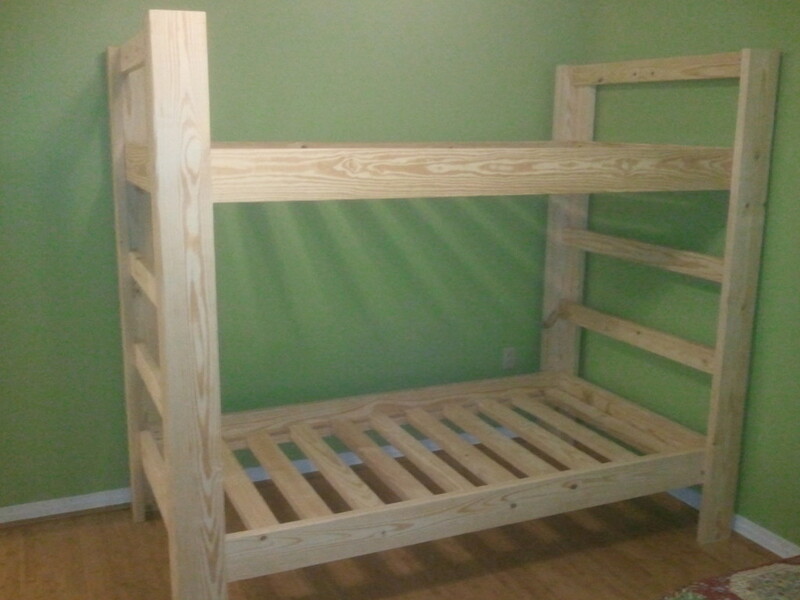 Can you tell me about how many 2×4’s you used on this bunk bed? Found you on youtube. Love this project. Is there any way to get the blueprint in a different file format? At the moment all I have is a sketchup file. Sketchup is free to download and use if you are interested though. 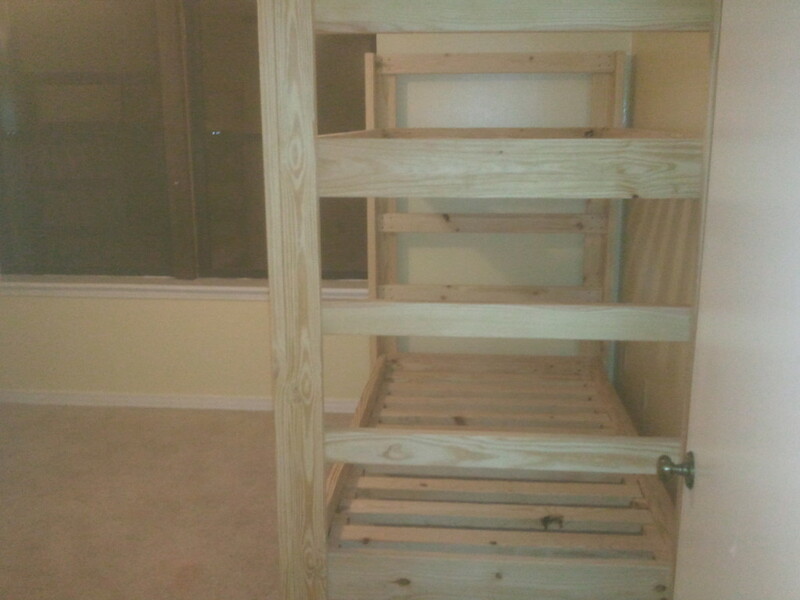 I’m going to build one bunk bed startig from your plan, with a little modifications. 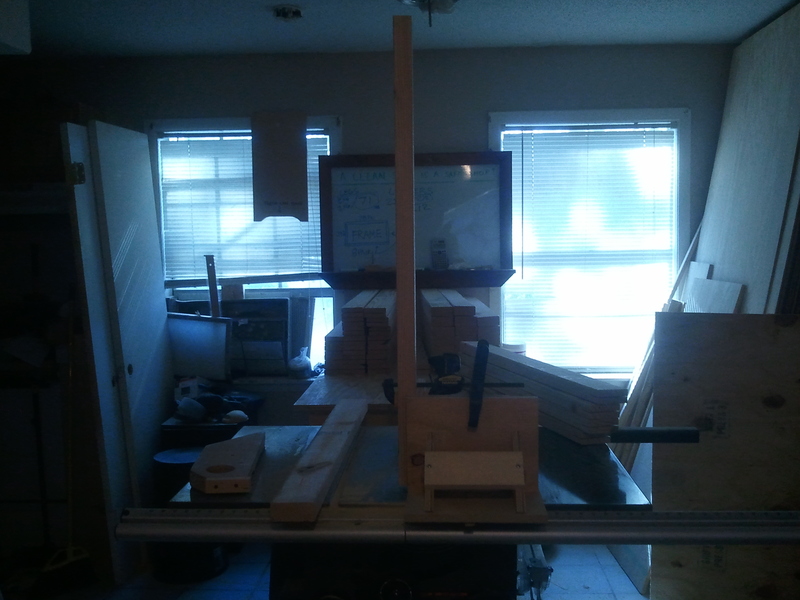 Not sure on going all 2x4s. I’ve never done that. Ty Jay. I’ll let you know how it will become. Long time fan of yours (since before you got famous :). I downloaded the Sketch up file and can see the drawing in the file but I don’t see any dimensions? Is there something I am missing? Also, wanted to clarify the kind of lumber you used? 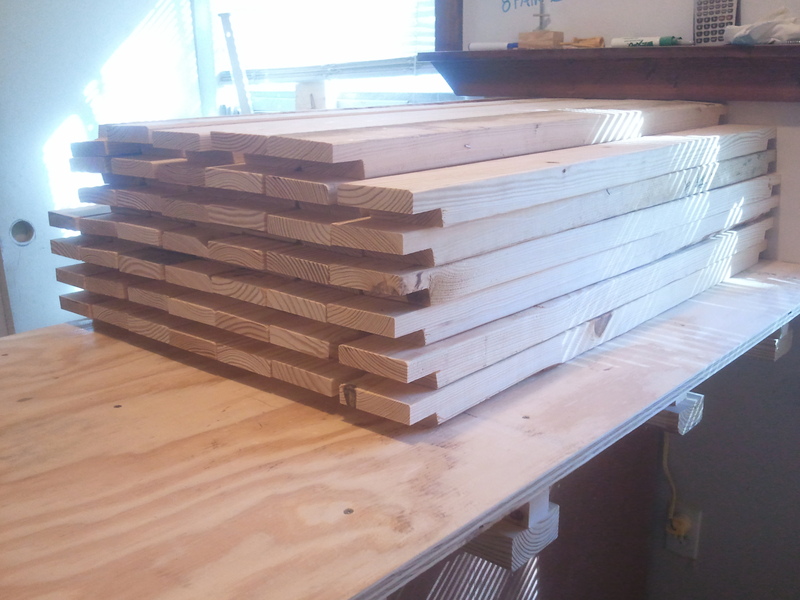 I thought in the blog post you said 2 x4’s but then saw that you replied to a comment that it wasn’t 2×4’s? 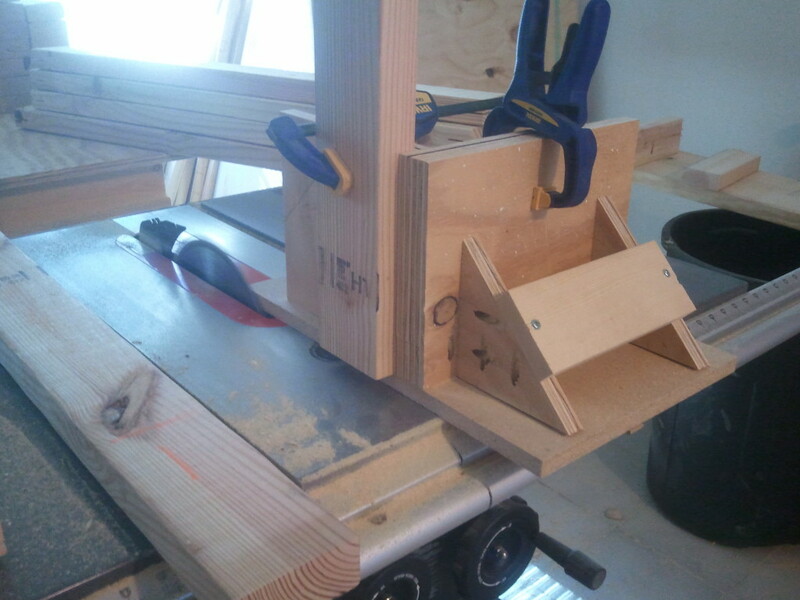 And, finally, I’m trying to understand how the half-lapped slats sit on the support. Do you have the piece that the half lap is sitting on just screwed into the piece that is adjacent to it (forming an L?) or am I totally missing that—it’s hard to see from the pics and video. 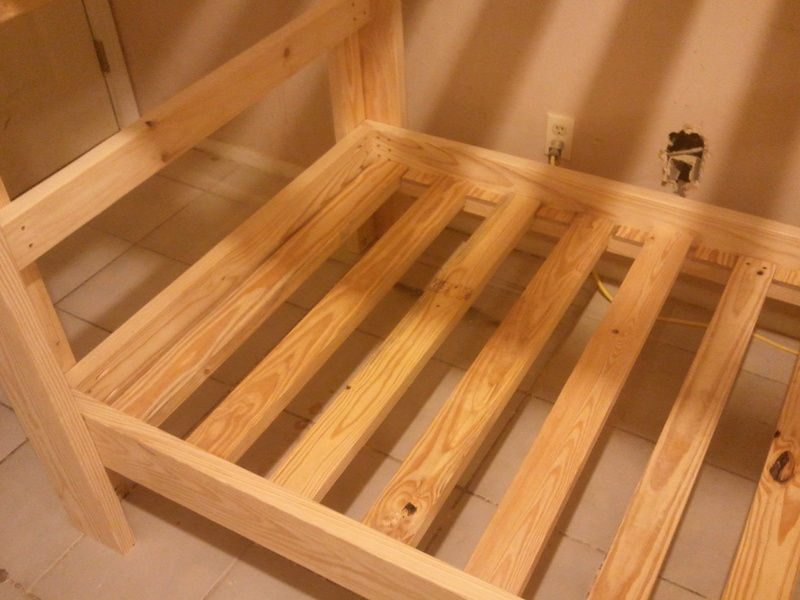 I was also wondering if there are aspects of this build that I could see in action on the great full loft bed series you did, like how to install the slats with the spacers etc. I know you intended this build as a “I built this in the past” and can’t do detailed plans for everything, but I think I am most of the way there on how to do this and it looks awesome, but just need to nail down a few details. Thanks man, your videos are awesome. Any way you could help me with some of these questions so I can get this project built for my boys? Hey Jay. 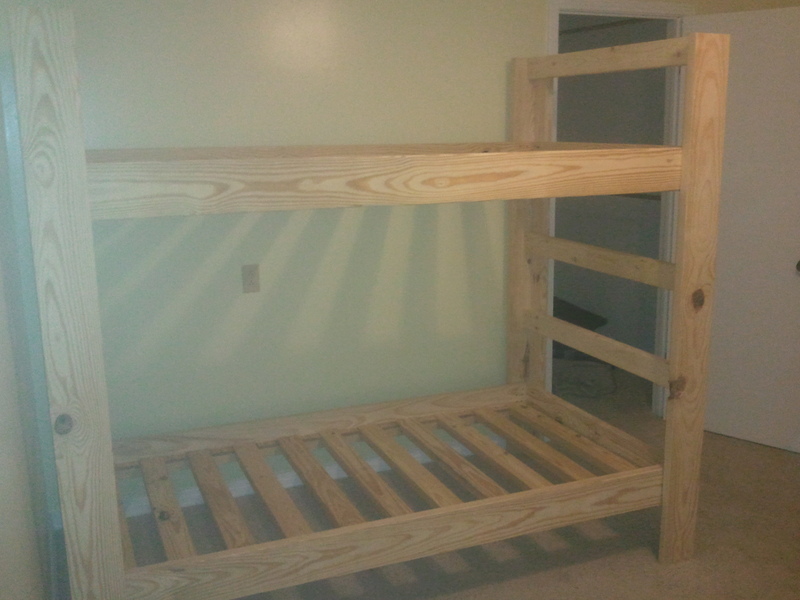 I just got commissioned to build a set of bunk beds. 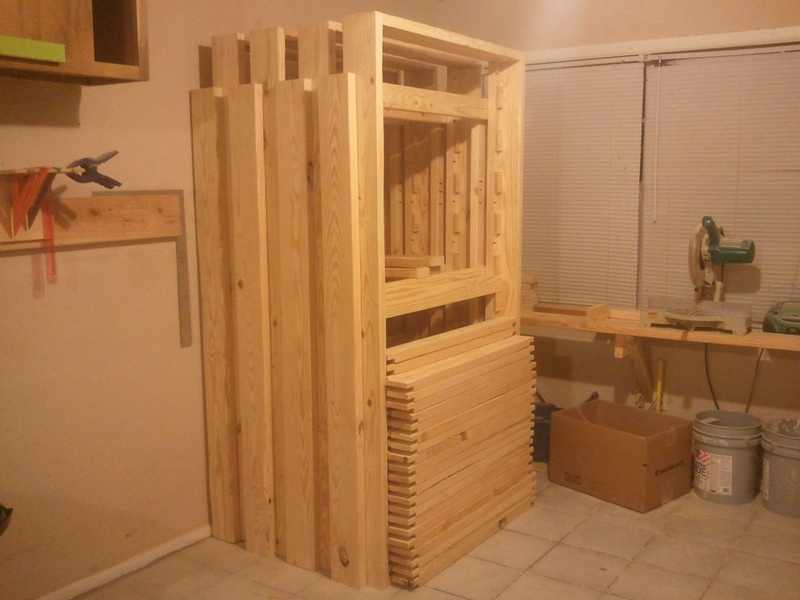 This will be my largest build get. Very excited. Of course I come here looking for plans first thing. 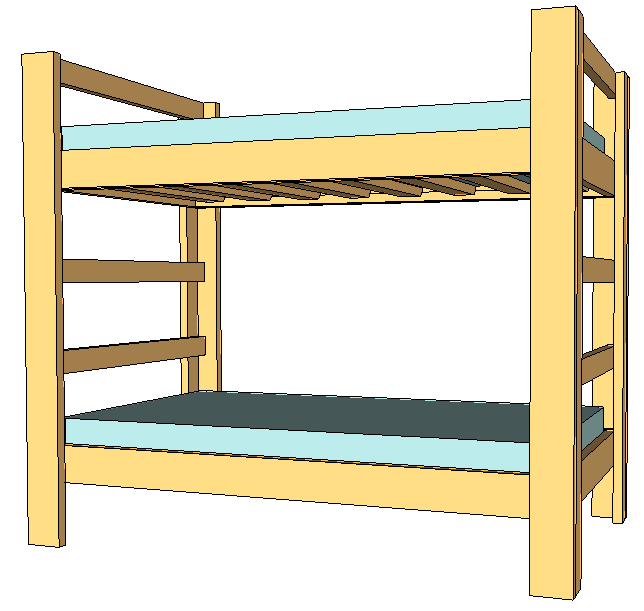 Only one thing… They want a triple bunk. How hard would it be to alter these plans? I have just started to look.